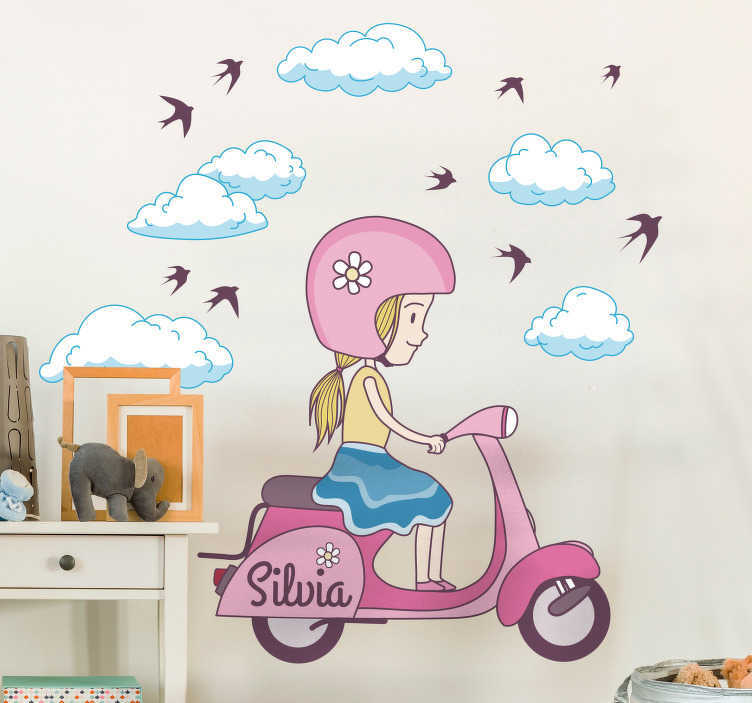 A children's wall sticker of a little girl riding on a white scooter surrounded by clouds and birds. Customise this decal by adding your child's name to make it more personal for them. An ideal sticker for decorating girl's bedrooms in a way to suit them. This sweet design of a little girl having fun on a scooter is sure to delight your daughter and give her a room that is unique and special to her.